Is there any copy of the Mondo Bongo CD on the original Mercury label? On my Version on the B-Sider there are seven Songs, I think between Hurt hurts and Whitehall 1212, is this a different Version? Matrix/Runout matches mine, and the back cover is stamped in gold " For Promotion Only Ownership Reserved By CBS Sale IS Unlawful"; however the cover is the release cover, with the barebacked band holding their hands behind their heads. Sure, there are some rhythms that you make you want to move your feet as in the 'The Elephant's Graveyard', and some touching 60-style-Shadows Guitar melodies as in 'Whitehall 1212'. 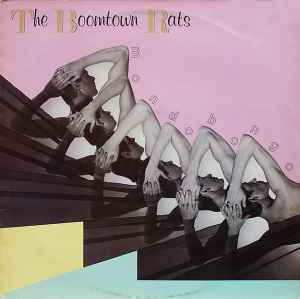 Unfortunate, the overall feeling you get from this record is that The Boomtown Rats didn't know what they where doing. As a listener your get a plate of very different songs that do not complement each-other. Also the quality of songs differ greatly so that I rarely find myself listing to the album from start to end. It's a pity, because the good songs are really nice. My advice is to buy two record players, so you can mix the songs you like with an album that does deserve your full attention.